HTC will officially introduce at least one brand new smartphone on September 20. the Desire 10 Pro sports a 5.1-inch display with 1440 x 2560 pixels, and is powered by Qualcomm's high-end Snapdragon 820 processor. The handset should further offer a 12 MP rear camera, a 5 MP front-facing camera, 4 GB of RAM, and 32 GB of internal memory. 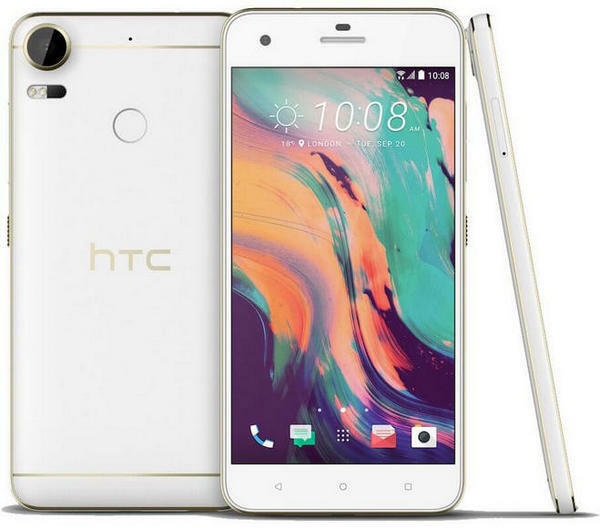 In following post, we will introduce you the HTC Desire 10 Pro supported video/audio Formats and how to convert videos to HTC Desire 10 Pros for playback offline. Any Video Converter Ultimate will help you to convert videos to the format your HTC Desire 10 Pro supports, which can convert almost video formats to WMV, MPG, H.264/MPEG-4, DivX, XviD, MPEG-1, MPEG-2, AVI, 3GP, 3G2, FLV, F4V, SWF, DV, VOB, HTML5 WebM/MP4/OGV Theora, DVD NTSC, DVD PAL format, etc. Step 1. Add the Desired Videos to this HTC Desire 10 Pro Video Converter. You can click “Add Videos” or “Add or Drag Files” to add the movies you want, converting multiple movies once is also supported. Step 2. Select output video format from the drop-down list for your HTC Desire 10 Pro a device. Click “Output Profile” drop down menu to select corresponding output profile for HTC Desire 10 Pro. 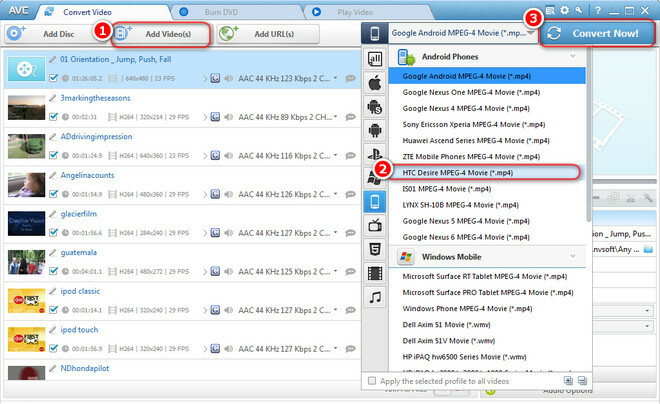 It's recommended to choose Video Files > HTC Desire MPEG-4 Movie(*.mp4). Step 3. Start converting for HTC Desire 10 Pro. Now, click Convert Now button on the upper right corner of the program to start converting videos for HTC Desire 10 Pro. Once conversion finished, you can transfer these converted movies to your HTC Desire 10 Pro for enjoyment.